I've been sticking to flats and more casual outfits at work (it's a laidback environment without a dress code) which is why I tend to keep accessories to a minimum, but I will throw on some cute earrings or a statement necklace every now and then (no bracelets or rings--I use my hands too much at work!). I'm always looking for special and unique accessories and have taken a liking to personalized jewelry. I bought an initial necklace a while ago (a sterling silver 'E' with a tiny diamond) and have had my eyes on name and monogram necklaces as well, so I was ecstatic to have the chance to choose my very own custom piece from oNecklace! Click below for more photos and details. I love the refined look of monograms and being able to wear something that's unique to you. This necklace has a nice weight and is neither too small nor too big--it's just right. 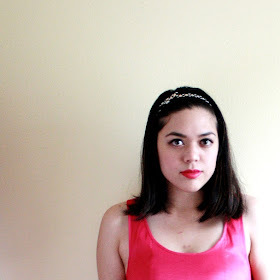 It's also something that can be worn to dress up everyday outfits. There were a lot of things to choose from (custom rings, earrings, engraved necklaces, and more) and shipping was fast, considering it was custom made. It's such a pretty necklace and I'm probably going to buy that name necklace soon too! 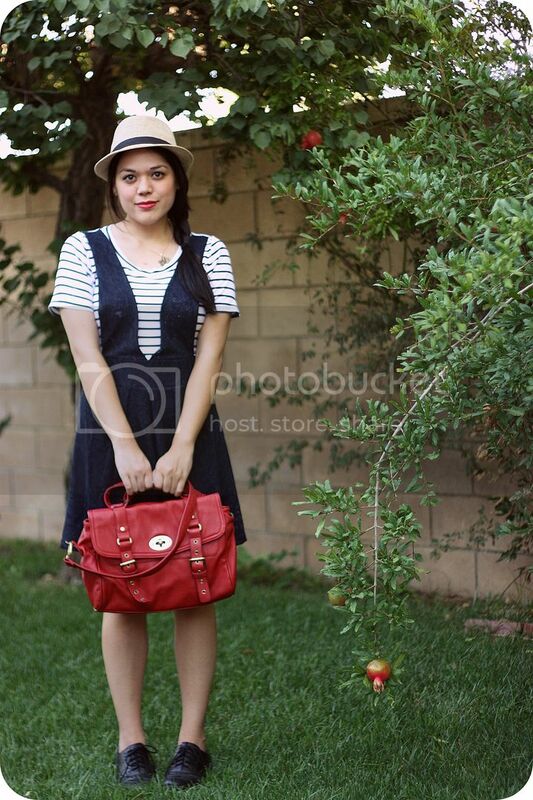 I wore it with my new pinafore dress (got it on sale at Dahlia), my summery fedora, a red satchel, and black oxfords.